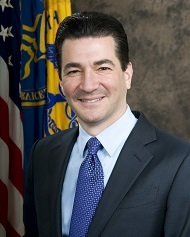 Nearing his departure date, Food and Drug Administration Commissioner Scott Gottlieb said his agency was preparing a regulation to modify the definition of “healthy” when the term is used on food labels. He also confirmed FDA was considering an official icon that could be used on foods that qualify to be labeled as healthy. FDA previously asked for public comments on the criteria for foods to be “healthy,” which have not changed since the early 1990s. UEP told the agency that nutrient-dense foods recommended by the Dietary Guidelines for Americans – including eggs – should qualify as “healthy.” UEP also commented that current criteria that tie “healthy” claims to a low level of dietary cholesterol are outdated and should be changed.